Al Dobowi China showcased its Infinity and Eternity brands, specializing in underground mining tyres, at the China Coal and Mining Expo Beijing Trade Exhibition in October 2017. Infinity and Eternity mining tyres are fitted as original equipment to some of the leading machine manufacturers who were also present at the show, held every two years. China Coal & Mining Expo goes back to 1985, and has since been the trade’s only national event, hosted for 17 successful editions. For the fourth time, Eternity Technologies exhibited at the two day Materials Handling Middle East 2017 held in September at the Dubai World Trade Center. This is the only dedicated show in the region for professionals from every facet of the warehousing, supply chain and intralogistics sector, and this year’s theme was ‘Made in the UAE’. 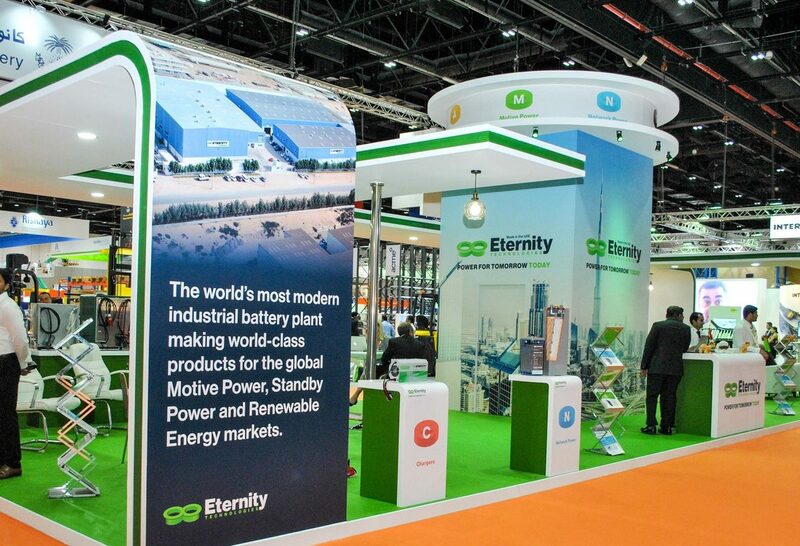 Eternity Technologies is the only lead acid industrial battery manufacturing facility in the UAE and is certified to ISO 1800a, ISO 18001, ISO 14001 and OHSA 18001, international standards for quality, environmental management and health & safety.